Parents of today make every effort to build self esteem and confidence in their children. Some of them feel the lack of it in the past generation has affected their personality; however an obsession in building the child s confidence has distracted the parents from working on a far more important life skill which is self compassion. False boosting of self esteem can lead to narcissism and emotional fragility. Self compassion is associated with resilience, enhanced energy levels and creativity. Life situations are beyond our control; our reaction to it determines our strength and perception. Children need to understand this reality. They have to know that life is full of ups and downs and do not interpret suffering as a failure. This leads to that we can avoid suffering totally. Children need to handle their emotions well. Te be successful adults, kids need to learn to care for themselves and others and above all they need to know how to ask for help. The parents can be critical of child s behavior but not his character. This distinction helps the child to truly validate the difference between his actions and accomplishments. He will know his self worth. It is better to tell the child ‘that was a smart idea’ instead of saying ‘you are brilliant”. As parents it is easier to accept your child as he is and not what you think he should be; this way you don’t need to sugar coat things. The children need role models when they grow up and parents unconsciously contribute a lot towards the development of the kids. Modeling self compassion is more valuable than self criticism as kids watch their parents for ways to deal with life. If they watch the parents being hard on themselves and disgruntled, that message is stronger than anything a parent preaches. Extreme punishments teach the kids to treat themselves harshly when they go wrong and they become directionless. Parent s response to child s success and failure influences the internal model the child develops for himself or herself. Compassionate discipline starts by understanding the child s point of view and help the child to deal with his behavior. If your child hurts his friend he should be allowed to reflect on the pain which will help him to avoid it in the future. The way to your happiness is resilience and the key to resilience is self compassion. 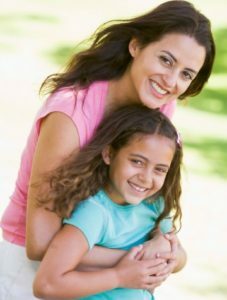 The parents can walk children through the steps of compassionate self treatment by helping them become mindful of their own emotions and reactions. We need to listen to the children carefully and label their feelings. 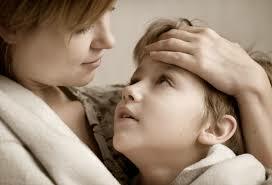 Parents have to make the child feel better immediately with a hug, a walk or a smile. Kids sense the vibration of the hug whether it is forced or a relaxed one. Boosting the child s ego by praising him or falsely encouraging him may create more damage to his emotions. Feel free to discuss and make him understand that it is okay to be what he is at that moment as that is what life is all about.